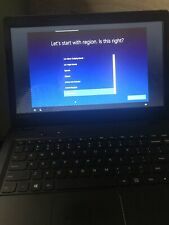 Lenovo ThinkPad T61p 15.4in. Keyboard is clean. Shell is nice. Good screen. See pictures of the actual item. Used but in excellent condition. 10.1 " touch screen. ThinkPad Edge. No fluff, just clean lines and (yes!). bold color options foreshadowing the robust ThinkPad performance inside. 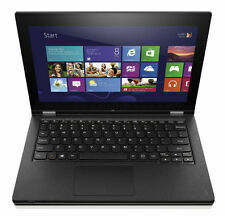 Highlights for Lenovo ThinkPad Edge 13 01978CU 13.3" LED Notebook - Athlon Neo X2 L325 1.5GHz - Matte Black. Lenovo Thinkpad X300 13.3in. (64GB, 1.2GHz, 2GB) Notebook/Laptop - Black -.... Condition is Used. Shipped with USPS Priority Mail. I know very little about this computer. It turns on easily and boots up quickly. It has internet access only when hard wired. I cannot get wireless access to the internet. The computer is clean and looks to be in excellent condition. Comes with charger and a mouse, rarely used and factory reset. Works fast and perfect. And also it is good to mix it with other devices, perfect for travelling. Fully tested by certified technicians. The unit works great and boots to WIN7 Pro 64 BIT . 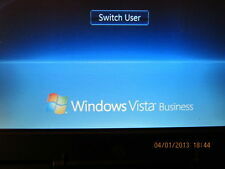 installed only no cd or COA (it has a Vista. Type code 2767-11y. GENUINE LENOVO POWER ADAPTER. 14.1" BEAUTIFUL SCREEN WITH NO DEAD PIXELS. 1GB INTEGRATED NIC CARD. ). It has been tested and is fully functional. It has a 64-bit processor so it can use newer OSs if you would want to upgrade it. The hinge is tight and the keyboard and touchpad work great. LENOVO 77322MU (None). Lenovo ThinkPad 183928U 10.1" LED Tablet Computer - Tegra 2 T250 1GHz - Black 183928U Tablets. It has 2 GB RAM, an 80 GB sata hard drive, a DVD ROM drive. It has 3 USB 2.0 ports, VGA video out, 10/100 LAN, phone modem, and internal wireless. It does have a WINDOWS password the \ key then press enter. Lenovo ThinkPad T500. 160GB hard drive. one hinge is missing black piece - does not affect use (see photo). Lenovo IdeaPad S10-3t Tablet (DDR3) all series. 2GB 1333MHz DDR3 Single Rank Non-ECC CL7 SO DIMMU. NO HARD DRIVE. I CAN'T GARANTEE OTHER PARTS. SOLD AS IS. 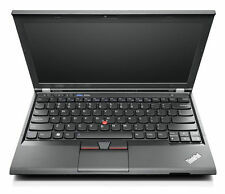 Lenovo ThinkPad X120e320GB4GB RAMAMD Fusion E-350 x21.6 GHzWIN 7 05962RU. Condition is For parts or not working. Shipped with USPS Parcel Select Ground. Laptop is in great working condition.Grade A. 14″ LED backlight. Windows 10. Condition Note: Used Lenovo ThinkPad T420s Laptop RAM Memory: 4GB CPU Processor: Intel Core i5-2520 @ 2.5 GHz USB Ports: 3 Ports: VGA, DisplayPort Includes Laptop Only. Does Not Include Power supply, HDD Caddy, OS, & Hard Drive. This unit does NOT have a hard drive installed. Any tampering with this product will void its warranty. Both units boot to BIOS when connected to AC. Both feature 1gb of RAM. One laptop is missing its HDD cover panel (you can see in one of the pictures). 1gb ddr3 ram. 15.4" LED screen. Lenovo SL500. 250 GB HD NO OS. I will do every thing I can to help you. All of the photos are original and not copied from another site. The photos are actually of what you will receive. We do our best to capture all blemishes and dings. Model: G570. "The sale of this item may be subject to regulation by the U.S. Food and Drug Administration and state and local regulatory agencies. This unit has been used. We strive for excellence and appreciate the opportunity to work with you in resolving any issues. This laptop is 10" long and about 14" wide. The screen is in excellent condition no crack or breaks. Lenovo ThinkPad T400 14.1in. . Condition is For parts or not working. It has a DVD Drive but No Webcam. Batteryis Missing. INTERNATIONAL OR. ALASKA/HAWAII/PUERTORICO OR. Lenovo SL500. 250 GB HD NO OS. I will do every thing I can to help you. Hawaii, Alaska, Purto Rico, Guam. No Power Cords. Does Boot to Bios. Laptop works but backlight on LCD is burnt. The listing is for laptop only no power adapter included. Hard drive not included. Cosmetically laptop is in very good condition and shows signs of light use on keyboard. Sold as is, all sales are final. Stands to reason that issues will arise occasionally. We're eager to find an amicable solution when it does. All pictures are taken in house. "The sale of this item may be subject to regulation by the U.S. Food and Drug Administration and state and local regulatory agencies.